The vineyard life blends the love of the land and enjoyment of the outdoors with an appreciation of winegrape production that ultimately produces a premium wine that is enjoyed by consumers far and wide. The Ramona Trails Assoc. had a wonderful time at the Christmas party thanks to your great venue and wonderful wine. I think it was one of the best parties we have had in a long time. The board has talked about going to a winery tasting room for our Christmas party every year. It is a great way to help show more local folks what is here and support the wineries. A good time was had by all ! ! Thank you so very much. Truly wonderful wines in a nice and friendly atmosphere. My and I were just wine tasting in the area and Jennifer rewarded us with a great experience: A must stop for anyone in the area. For my very first time in USA, i wanted to get a “real” contact with the local life style, PAMO VALLEY WINERY TASTING ROOM gave that to me. Exquisite tasting room with Jen and my “dear companion”, he enjoyed the teasting and i enjoyed the environment, cute place, nice people and cool vibes. Ramona Valley, in San Diego County is not Sonoma County (where I live and work) but it has a rural vibe that is fun and friendly. One of the tasting rooms in town is run by Jennifer and she was friendly, informative, and welcoming to us even with our dog. I can’t give it 5 stars but I did buy wine. I would return and I would recommend a visit if you are in the area. Fabulous experience! Jennifer is friendly, knowledgable, and makes some really delicious wines; I went home with three bottles! The gift shop is filled with cute things that are affordable. I can’t wait to go back and get the cork earrings…and taste again. Great experience. Jennifer was attentive, informative, friendly and eager to please. She is a charming hostess and quick to share her knowledge and experience with wines with her guests. The wine was good…we tasted reds only as whites were sold out and we will return in 2013 to taste whites. Bought a bottle of Cab which we liked best of the six reds available to taste. Definitely worth a visit. This is a real jewel in the Valley of the Sun! Jenn is very knowledgable and a wonderful hostess. The wines are AMAZING….a great weekend evening hangout. I loved the Merlot and brought some home. A quaint and intimate setting with the friendliest staff! Jennifer’s wines are “Woohoo! As good as it gets!” insofar as RVVA libations are concerned. We’ll make this a frequent stop. On behalf of the members of the Alfa Romeo Owners Club of San Diego, I want to thank you for your hospitality on July 22nd. We enjoyed the food and especially the wine. The tour was an outstanding success, thanks to you and your staff. We hope to do it again nex year! Ramona is becoming a great place for wine tasting, and Pamo Valley Wines is one of the reasons. Located right on Main Street at the East end of downtown, you can easily stop in and taste any of Pamo Valley’s fine offerings. The tasting room is nicely decorated, the hostess is friendly, the music is easy to listen to at the right volume, french bread and infused olive oil with your tastings, and of course, fine wine to complete the experience. I’ll be stopping by more often when driving through town. This is a very quaint ‘find’ along the road in Ramona! Jennifer is awesome! She loves her wines and her tastings. You will find that everything has a personal touch – from the wines to the servers to the inside/outside venue. I recently bought 2 of her 2010 Merlot! While ‘young’ they are very floral and quite tasty. Please drop by – I am sure that you will be impressed. My sister and I visited this tasting room and what a nice surprise. It is a cozy and comfortable place even though it’s on Main Street Ramona. We enjoyed talking to the other people there tasting wine and learned a little bit about the Pamo Valley Winery. We couldn’t decide which wine was our favorite so we’ll just have to go back again. This was a ‘let’s just stop because we can’ kind of stop and what a treat! The building is so quaint and Jennifer was AWESOME! When you get to sit and chat with the proprietor, it is such a rare treat. We will be back many times in the future and if your looking for just a great way to spend an afternoon, relax and share time with good people, this is the place to be. AWESOME! We were vacationing at San Vicente Resort in Ramona and it was raining and we couldn’t play golf so we decided to visit some winerys in the area and this was one we really enjoyed. Jen was an excellent host and the wines were very good. She has a cute gift shop and her dogs were adorable as my wife and daughter couldn’t resist them. We highly recommend this place to visit and get acquainted with Jenn. What a nice surprise. Heard good things about this place, but had never been there until recently. Now, I try and stop in whenever I can. Not only do I enyoy their wines, but interesting people seem to alway be there talking about wines, particularly about local wines. This place is wonderful…The wine is great…Jennifer is great….You won’t be disappointed. Stop by and try Jennifer’s reds, they are all very good. (I didn’t try the whites…not much of a white wine drinker). Enjoy. What a great experience! I stopped in the Pamo Valley Tasting Room and had a great time with Jenn and the other patrons. She suggested a wine that was perfect for me, and I thoroughly enjoyed my time there. I was in Ramona for just 24 hours, and it definitely was the highlight. I am so happy to have a wonderful place to go and visit with friends and make new ones at Pamo Valley Winery Tasting Room. Jennifer is a blessing to the Town of Ramona. She is a wonderful hostess and business owner. Her place is beautifully decorated and has so many fun gifts to choose from. Thank you Jennifer for being the wonderful person you are. I wanted to take a moment to thank you for making my daughter’s birthday wine tasting a memorable event. We all enjoyed your company and hospitality especially all her college friends. Also thank you for taking the time to take a few pictures with them. We look forward to visiting you again. What a great wine tasting room! Jenn knows her wine! I would absolutely recommend stopping in for a few tastings the next time you are in Ramona. The facility is quaint and very inviting. She even stays open later than most wine tasting rooms!!! A PLUS!!! Nice winery, fun and friendly atmosphere, good wines, and Jennifer put out Cheez-It Snack Mix (my absolute fave!) to snack on with our wine while we were there. Definitely sealed the deal for me! 🙂 She also had some cute stuff in the gift shop that was reasonably priced–I got myself a shirt. Definitely a good “girls wine day out” place to chill in Ramona. I love Jennifer Jenkin’s winery. She makes excellent wine, she is friendly and sweet, and it’s always a pleasure to sit in her cozy tasting room. Highly recommended. I got to Pamo Valley Winery Tasting Room as soon as it opened on a Sunday morning. I was Jennifer’s first customer and after talking to her for 15 minutes, I felt like I knew her for 20 years! I ended up spending three hours there, chatting with her and other customers as we tasted her wonderful wine and shopped in the gift shop. The ’08 Merlot is my favorite! I highly recommend visiting while in Ramona. I will be back! My wife and I visited this tasting room, among others, last month while vacationing in the area. The wines were very good and the proprietor was very knowledgeable and friendly. It was a nice way to spend part of our afternoon. Thanks for taking the time to review your wines with us, Jennifer. Luved the wines. Luved chatting with you. (Luv the t-shirt we bought for our granddaughter!) We look forward to sharing your treasures with our Friends at Le Dolce Vita Tasting Room! Cute little tasting room and gift shop. I enjoyed the Merlot 08 I bought. They have some great wines and are very friendly. Glad that they opened a tasting room. Hope to be back soon! A wonderful place to enjoy some wonderful wines. Jennifer has a way of making you fell like you are old friends The wines are amazing! They also have a great wine club and a cute gift shop. Jennifer Jenkin, the owner and winemaker is a big part of the Ramona wine scene and she can tell you where to go on your tasting stop. This place is right in town and has a nice patio with a fountain to enjoy your glass of wine. I highly recommend Pamo Valley Winery Tasting Room. Possibly the greatest winery owners that we have had the pleasure of having dinner with. The J J J Chardonnay is possibly the best we have had the opportunity to try. My wife is not an avid red wine person but here the story changes with Jen’s special Merlot’s. We look forward to trying your Special Blend next year hopefully Jen and count us in for any future winery bottling. Much love The Romero’s. Jennifer is very cordial and the atmosphere is cozy. But her wines are also very good and priced correctly. My husband only sees the wine while I being French raised, see it more for the relationship to meal. We bought a Merlot which pleased both of us. Although maybe not good for Jennifer, we hope this tasting room is one of many to come in Ramona. Ramona wines are similar to the Rhones of France. We call them all the “R”s Jennifer does everything possible to promote not only her wines but Ramona wineries. She is constantly on face book, and at wine tastings and supporting Ramona. So we recommend her wine tasting room, not only for her wine and atmosphere, but also to just the opportunity to talk to a Ramona wine connoisseur. Excellent wine and company! This is our new Friday meeting place. All the wines were delicious but the 50/50 blend is my favorite. The atmoshphere is confortable and friendly. I would recommend everyone to stop by and try the wine and also check out the giftshop. Stopped in at the Pamo Valley Tasting Room while visiting from out of town. After more than 2 hours, we left feeling like old friends. Excellent wine and even better company (patrons and proprietors alike). I will definitely be going back the next time I’m in Ramona! If you are ever anywhere near Ramona, you need to stop in and check out this tasting room. Pamo Valley Winery will charm you from the moment you walk in the door. Jennifer (the winemaker) and Mike are so friendly and provide an intimate and educational tasting experience. It was truly fun talking with them. And the room is darling! It is a really cozy setup with wine barrels and lots of fun wine-related merchandise to browse, including these cute pocketbooks that Jennifer makes from leftover wine corks. Now, on to the wines. I’m a total wine geek and I believe that Pamo Valley will hold its own against some of the best wines out there. Jennifer took us through the tastes and all of the ones she recommended were sooo good! She doesn’t make tannin bombs; they are softer and rounder, well balanced, in a range of styles, and very drinkable. I enjoyed everything she poured, and I think my favorites were the Jenn’s Blend, the Indian Princess and the 08 Merlot (surprisingly as I’m not usually a Merlot drinker). I’m so happy that we found Pamo Valley right in Ramona. Not only is it much closer to San Diego than the Temecula wineries, but I also prefer the wines and the tasting experience here. Kudos to Jennifer and Pamo Valley! My palate is still thanking me for the experience. Of course we can’t make the wine tour, but we wanted to say we had a fun time when we visited your winery a few weeks ago while visiting the Ramona area. My wife and daughter enjoyed playing with your dogs as we sampled your wines. Hope your wine business enjoys a great success. We really enjoyed your wine and tasting room. As we are new to Ramona we don’t know a lot of people here, but the woman who served us was so friendly. I appreciate the fact that you let people sell there items and I purchased some jam and love it. A great CD I like is a classical guitarist, Artie Traum’s “Meetings with Remarkable Friends”, and that’s what the experience was at your tasting room. We did see that you can host private group tastings, and we would be very interested in knowing more about that. We enjoyed your wines and tasting room thoroughly! see you next time we visit Ramona. My fiance and I went to the Pamo Valley Winery Tasting Room and had such a great experience! We got to try four different wines in the cozy little wine tasting room. We had such a great conversation with the wine pourer about beautiful Ramona (we are new to the area) and she really made us feel welcome! We really had such a great time. I have found my new favorite wine, the JJJ 50/50!!!! It is amazing and the prices are SO reasonable!!! I highly recommend this wine tasting room to everyone. I enjoyed the cozy, neighborly, country friendly wine tasting experience at Pamo Valley’s tasting room. The wine selection was quite varied and unique. I would recommend this stop on any tasting tour. I have sampled and purchased your wines in the past at Association functions, but that was my first visit to your tasting room in Ramona. I enjoyed sampling your wines as always (some of the best in the Valley for my money), not a bad way to spend a beautiful Sunday afternoon in sunny southern California! With the recently relaxed ordinances regarding wine tasting rooms in San Diego County, this is a very exciting time for the Ramona Valley Vineyard Association, one of the Back Country’s best kept secrets, but I suspect not for long! Thank you for sharing your wines and tasting room with the Economic Development Committee last Saturday. 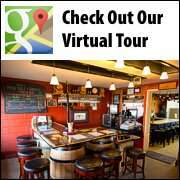 You have done a fantastic job showcasing not only your wines, but including the Ramona Vineyard & Winery community as well.You have a fun, inviting and relaxing tasting room. Obviously we thought so, since we bought 2 bottles of wine.Thank you again and we look forward to seeing you there again soon! When I received your email about your wine tasting room opening, I did not have time to go to the website. Well I spent the last two hours reading your entire post. You did a great job and all the pictures were just so nice. I feel like I just met your whole family and it sounds like your mike is a great guy who really works hard and supports you, my favorite picture was of you and your dad. I enjoyed getting to know a little about you and your passion for wine. Congratulations on your new tasting room. I’ve always been pulling for you. YOU will do well, I am sure…You will be seeing me in the weeks to come. Perhaps too often! JJJ … So proud of you and what you have accomplished, you are an amazing person and Gabe and I could not be more thrilled for you and the winery, now we just need to get down and visit……. Missing you very much,…. best to you and Mike and the winery!!! As the saying goes, “You have come a long way baby”. You not only have a great wine, you have done a tremendous job on your website. I loved reading “About Us”. Congratulations and Grrreat Job! Pamo Valley’s new Ramona wine tasting room is a definite stop for any wine aficionado. Jennifer Jenkin is fairly new to the wine business, but for a vintner in less than her first decade, she has certainly gone to the head of the class. In my opinion, the best of all the local Ramona wineries, Pamo Valley puts out increasingly finer wines with each new bottling. Between the 2008 Cabernet Sauvignon, the 2009 Sangiovese, and the new 2010 JJJ Ramona Blush and 2008 JJJ Sunset Passion blend, there is a wine to please everyone’s palate. I became aware of just how good Jenn was getting at her craft by drinking her heady and rich 2007 Cab on Fire. I appreciated its deep layered flavors and inter mingled aromas. Now I’m happy to note that the new wines, of which there are now many more varieties, are reflecting that same care and technique in their creation. I can’t wait to see what Pamo Valley comes up with next. And to make finding out what’s new from Pamo Valley so much better, the recently opened tasting room is the icing on the cake. Jennifer her family have designed a small, warm inviting atmosphere complete with a beautiful serving bar. Being there, in her presence, is like tasting wine at a good friend’s house. Along with many chic and ‘so girly’ gift items, she displays everything you might need to serve and drink wine with, plus a few items more you might not have otherwise known you needed. The location is easy to miss as you drive by, so if you’re from out of town, be sure to know that 603 Main St. address. I hope that a generous amount of wine lovers find this delightful boutique winery, because then I know that Jenn will be in business for a very long time. Hello Jennifer, We had a great time at your new tasting room and we loved the wine. It’s obvious you’ve put a lot of time, love and effort into your new facility. Glad we had the opportunity to meet your Dad also. I’m sure we’ll be seeing you soon! Jennifer, what a nice wine tasting room you opened for all of us to enjoy. Pamo Valley Winery will be another great destination place for Ramona! I know we will be stopping often. Thank you, Jennifer, for including us in your pre-opening festivities. I was very honest when I said how impressed I am by your beautiful tasting room and how proud I am to have such a classy addition to Ramona’s tasting rooms. You and Mike did a wonderful job. We wish you nothing but success which, I have no doubt you’ll have! It is always a pleasure to have Pamo Valley Winery come up and do wine tastings for our members and guests. Everyone always has a great time with Jennifer and Mike. They are very knowledgable and informational about their wine. They promote great fun amongst the members at our resort. I have been working with Jennifer for a little over a year now and always look forward to her and her wine as do our members. You are awesome! We can’t recall the last time we had more fun when visiting a winery. We were lucky enough to watch, and help with, the Petite Syrah crush. After that, Jennifer gave us some barrel tastings before she led us on a tour of the estate vineyards. We LOVED all of the wines we tasted – the Sangiovese, the Syrah, and “Passion” – a uniquely wonderful and floral red blend. Jennifer is a truly talented winemaker whose passion and love for her wines shows through their outstanding quality and flavor. We look forward to enjoying many more wines from Pamo Valley Winery! Thank you so much for a fun afternoon of wine tasting. It was not only informative and good listening but you were very generous with your samplings. It was a mellow day for Mother’s Day celebrations. Always remember that Moms know how to do it right! And, so do Grandmothers! We appreciate the effort you made to give us a great program! What an absolute treat it was to visit your vineyard. You, Mike and John are first class and the educational wine experience you provided was amazing. I loved the progression of wines that John followed all the while leading up to one of the most amazing wines I have ever tasted in the 2006 Estate Syrah, which is why I put in an order for a case. It is obvious that you put a lot of attention and love into your wines, the 2007 Cabernet Sauvignon. Consider me a life long customer. Anytime I get back to southern California you can count on me stopping by and seeing what is new at Pamo Valley Winery. Pamo Valley Winerys’ wine tasting at our overflow Open House was a huge success. Their outstanding wines are a prime example of San Diego North County inland challenge to Napa and Sonoma Valleys. Can’t tell you how much Larry and I and our whole party (Bill and Kathy Schweitzer and Bob and Patty Weirick) LOVED last night’s wine and bison pairing dinner at Jeremy’s on the Hill in Wynola. The entire venue was wonderful! The service was impeccable and the food and wine were spectacular! But most of all, we loved the focus on the food and wine pairings; and, John, your introductory comments to each course were so well done!! Everyone at our table was talking about the fabulous wine flavors that were so perfectly enhanced by the food choices. The amounts of food and wine were just perfect and it was so nice to have a venue that encouraged everyone to savor and enjoy each course (too often the food is a feeding frenzy and the wine is an after thought). Thank you for organizing such a nice evening. We look forward to the next event. Hi Jenn! The 2006 Estate Syrah is outstanding! Keep it up! You and your “team” really put their heart and soul into your new vineyard. You have tremendous support. When drinking your wines – as I have done with joy a number of times – I taste the love and caring that went into producing them. Now I have and will always have the visual and narrative complement the nose, body and finish. I really think Pamo Valley is the best syrah I have tasted. It is really smooth and puts others to shame I’m afraid! I wish you continued success! You obviously work very hard for your much-earned reputation in the wine industry! I WANT MORE!!! By the way, I have been a big fan of your 2004 Ramona Trio, 2005 Ramona Meritage, and 2005 Syrah. I have enjoyed several bottles of each and given them to friends as gifts. I am quite sorry that I did not lay in case quantities. Just a quick note to let you know how much my wife and I have been enjoying your wines. So far we’ve tried the 2005 Syrah and the 2004 Ramona Trio, both are very nice. We’re looking forward to your next release of your Estate Syrah. Please let us know when it’s ready! Pamo Valley Syrah is a customer favorite, a brilliant example of San Diego County Wine. We love it! See you soon! We opened a bottle of your 2005 Reserve Chardonnay. I love it!! It is the best Chardonnay I’ve ever had. How can we order more? Congratulations, Pamo Valley’s Cabernet Sauvignon, Merlot and Sangiovese made a pretty good showing from the San Diego County Vineyard Association judging for the Regional Wine Tasting Event in Temecula. My daughter in law’s family gave me two bottles of your wine for Christmas and I wanted to let you know how much I enjoyed the Merlot. Have not had any of the Trio yet. I make my own Pinot Noir and Chamborcin and have a first hand understanding of the difficulty in growing good grapes, and making fine wine. Wish Maryland ‘s laws were more lax so we could import some. Let me know if you deal with any distributors on the east coast. Keep up the good work!